I'm going on my annual trip to Torquay with a group of my best friends at the end of the month (we are lame and will name it #caravanclub2013) I can't wait for a relaxing weekend away were I wont have to get a flight or worry about connections on a train, I don't need to worry about dressing up, deadlines or counting calories. We hang around on the beach, have fish and chips and play bingo. It really is a case of the simple things in life are the best things. 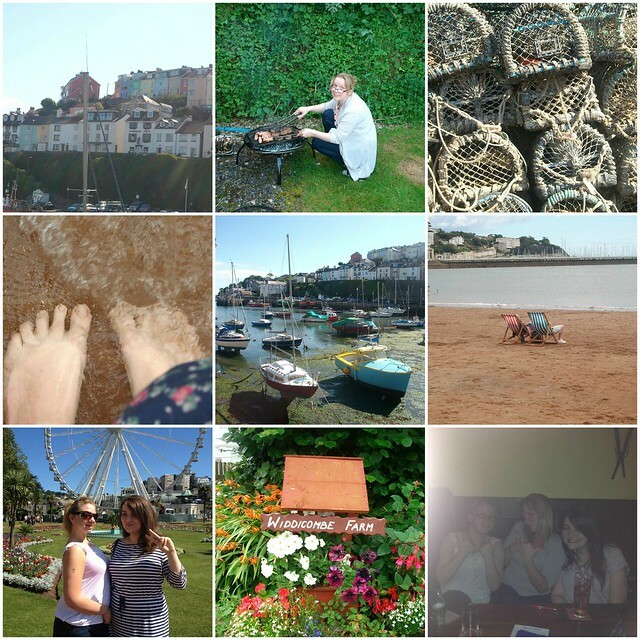 In 2011 we went to Brixham for the day and last year we went quad biking. We loved the quad bikes last year and are looking for more activities to try this year. I'm thinking of hiring some skates or a bike and heading down the South West Coast path which stretches for 630 miles from Somerset to Dorset. Working up an appetite for a drink and meal in a lovely country pub. I'm also trying to persuade the girls to head to the ski slope and try sno-tubing for a bit of a unique experience. Heading to the beach, soaking up the rays (unlikely in the UK) and reading is always a must for our trip to Torquay as is going for a traditional afternoon tea in a quaint tea rooms. Have you been to Torquay before? What outdoor activities do you think I should try?